Sears Hill is a historic neighborhood in Staunton that sits on top of one of the many hills around the city. It overlooks downtown Staunton. A grant from The Community Foundation of the Central Blue Ridge is enabling HSF’s ongoing update of the architectural inventory for the Sears Hill Neighborhood. HSF began the inventory process in 2013 with the assistance of Mary Baldwin and Longwood University interns. The current architectural inventory is 38 years old and in paper format. The interns created searchable files and developed a database incorporating the inventory file information. Our goal is to update the existing data and create a searchable digital inventory. 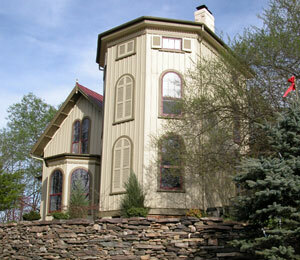 We will continue to photograph historic structures and edit architectural descriptions. Additionally, we will create a historical narrative outlining the context and development of Sears Hill.